It is with heavy hearts that we share with you the passing of Patrice Munsel. Patrice was one of the musical theatre greats, a dear friend, and a wonderful person. Patrice is—still to this day—the youngest star ever at the Metropolitan Opera, debuting when she was just 18 years old. She later ventured into musical theatre, movies, and television. Patrice came on many of our theatre cruises. We always loved it when she came along, as she was such a delightful and entertaining person! We will miss her greatly. To read her obituary in the New York Times, please click here. We are writing you today about our beloved son-in-law and great jazz musician, Ray Kennedy, who died on Thursday May 28, 2015. Ray was a not just a world renowned jazz pianist—he was a husband, father, and friend to many. The New York Times described Ray as “…an extraordinary pianist… [whose style] suggests a toned down fusion of Oscar Peterson and Erroll Garner, with a dash of George Shearing,” while the London Jazz review Boz described Ray as “a pianist with a rare and electrifying talent.” His work as pianist/arranger with The John Pizzarelli Trio for over a decade led to Ray being internationally recognized as a leading exponent of the “swing jazz” piano style established by such jazz legends as Teddy Wilson and Nat Cole. Ray was introduced to music at an early age by his father, who took him to hear acclaimed jazz musicians on a regular basis. One such outing led to the then 14-year-old pianist meeting and ‘sitting in’ with the great Dizzy Gillespie. Ray performed and/or recorded with many of the top names in jazz, including Nat Adderley, Ruby Braff, Buddy DeFranco, Freddie Hubbard, James Moody, David Sanborn, Woody Shaw, and Sonny Stitt. He recorded more than one hundred albums, not only in the field of jazz but in various other musical genres. 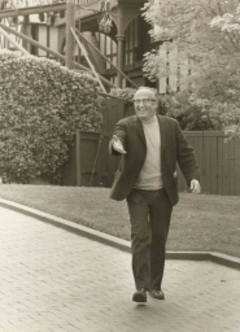 Ray lived in New York City where he was active as a pianist, composer, and arranger, working with performers as diverse as Christina Aguilera and Maureen McGovern, for whom he also served as musical director. His compositions have been featured on numerous recordings including the soundtracks of two motion pictures. 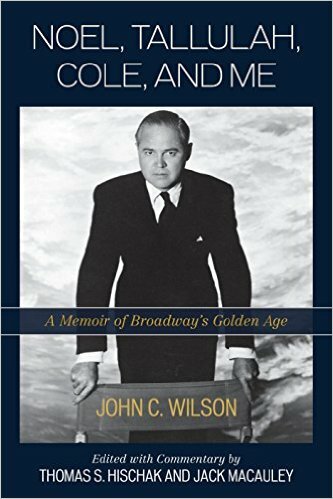 He composed and performed the music for the off Broadway show Bill W. and Dr. Bob, which opened at the New World Stages in March of 2007. Ray was a featured guest artist on Marian McPartland’s NPR program Piano Jazz and contributed commentary on the music of Harry Warren on NPR’s Fresh Air program. He appeared with many major orchestras throughout the country, including The Atlanta Symphony Orchestra and the Boston Pops, and made numerous television appearances on The Tonight Show, Conan O’Brien, and Late Nite with David Letterman. Ray has recorded 12 CDs with his trio, with several dedicated to the composers of the great popular standards including The Ray Kennedy Trio Plays The Music Of Cole Porter and The Ray Kennedy Trio Plays The Music Of Arthur Schwartz. Another CD entitled Mozart in Jazz was recorded for and released in Japan and went to #1 on the jazz chart. It also received a Gold Disc award for artistic excellence from the country’s leading jazz magazine, Swing Journal. Ray has performed in concerts and jazz festivals in twenty-one different countries throughout the world. His career tragically cut short by a rare and extremely debilitating form of Multiple Sclerosis. Ray was a wonderful man and an amazing musician—he brought joy to so many lives and the world feels a lot emptier without him here. As you may know, we have been working to reestablish the Stratford, Connecticut Shakespeare Festival. All this Shakespeare festival talk has reminded us of perhaps the most wonderful theatre happening we have encountered: The Oregon Shakespearean Festival. The story of Oregon is so incredible! A young man living in Oregon said to himself one day, “I know what! We need a Shakespeare festival here!” This was in 1932—in the middle of the Depression—and therefore, incredibly unlikely. However, Angus Bowmer just went ahead and did it! Angus L. Bowmer, an enthusiastic young teacher from Southern Oregon Normal School (now Southern Oregon University), was struck by the resemblance between the Chautauqua walls and some sketches he had seen of Elizabethan theatres. He proposed producing a “festival” of two plays within the walls, in conjunction with the City of Ashland’s Fourth of July celebration. The City cautiously advanced Bowmer a sum “not to exceed $400” for the project. SERA (State Emergency Relief Administration) funds provided a construction crew to build the stage and improve the grounds.The Oregon Shakespearean Festival was officially born on July 2, 1935 with a production of Twelfth Night. The Festival presented The Merchant of Venice on the 3rd and Twelfth Night again on the 4th. Reserved seats cost $1, with general admission of $.50 for adults and $.25 for children. Can you imagine? When everyone else was saying no! no! no!, Angus (thankfully) was saying yes! yes! yes! Today this is the largest Shakespeare festival in the world—equaled only by Stratford, England. They have three theatres (2 indoor and 1 outdoor) and present many Shakespearean plays from February to November each year.